For those that need to know how to start a business, one important details is the compliance of the necessary documents. This is true for numerous aspects of your business, including the process of naming it. Below would be a list of what you’ll need for such an endeavour. 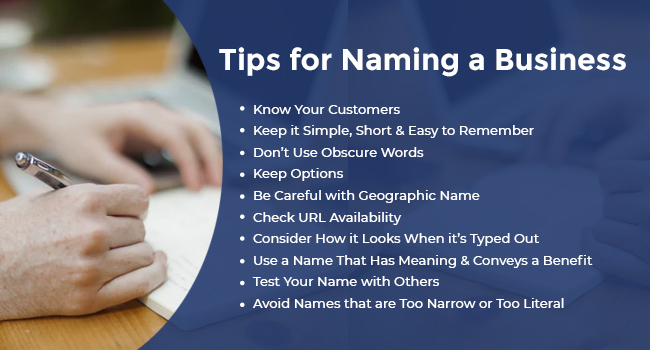 Take note of each one, as well as their importance, so that you’ll see just how they fit into the act of naming your business. 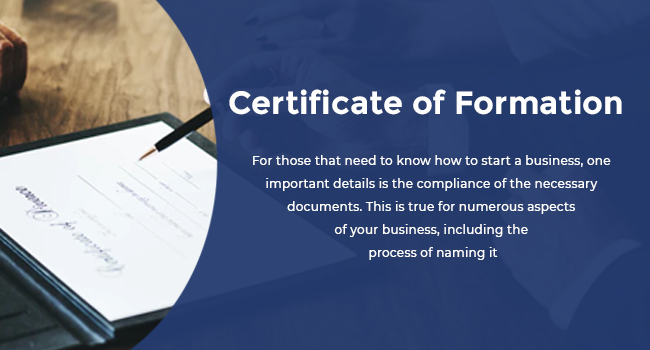 Also known as a Certificate of Organization, it is one of the new documents to start a small business that business owners file within some states through the secretary of state. The main purpose of this is to be able to form limited liability companies. You may expect a few specific details within this certificate. Among the common required information includes the LLC name, its effective date, the registered agent’s name and address, and the registered office address. Those living in the states of Texas, Idaho, New Jersey, Iowa, and Pennsylvania are required to get a certificate of formation. 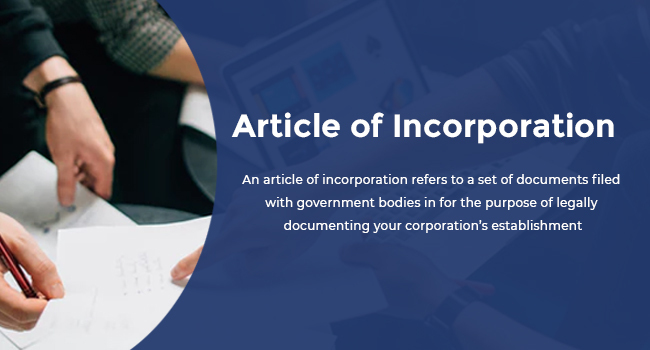 An article of incorporation refers to a set of documents filed with government bodies in for the purpose of legally documenting your corporation’s establishment. Similar to other documents, you’ll need to submit relevant information such as the firm’s name, the street address, the amount of stock it has, and what type of stock is to be issued. After deciding on a business, what comes next should be choosing the right name for it. Discovering that your preferred name is already taken would be quite unfortunate; you may prevent this with a name reservation request form, which can be done online through the eCorp website. From there, you may do a name search to double check on your name’s status. Once everything is in the clear, you may proceed to reserve your chosen name through the site. To register your company, you have a few options. One would be to do so as a sole trader. Another would be to register as a partnership or trust. Lastly, you may register as a company. Each has its own requirements and forms. 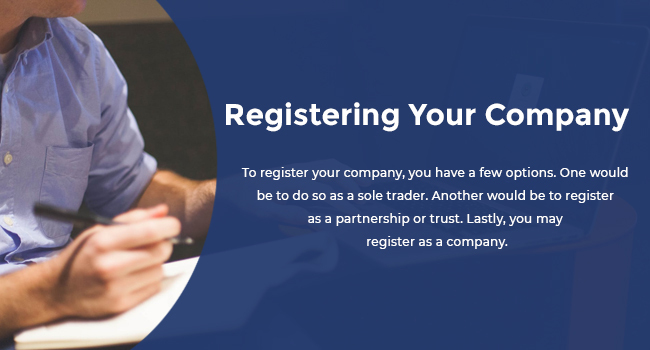 Determining what type of business to register first would make the process considerably easier and quicker to get over with. 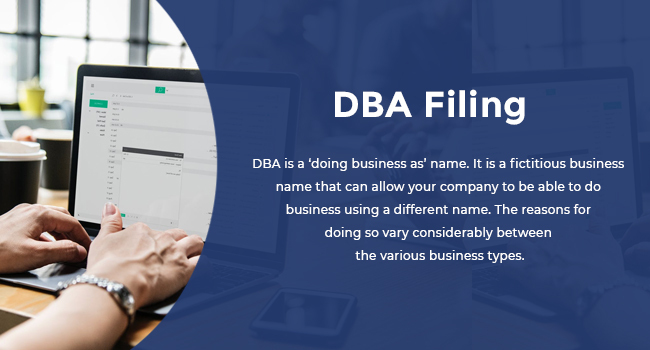 DBA is a ‘doing business as’ name. It is a fictitious business name that can allow your company to be able to do business using a different name. The reasons for doing so vary considerably between the various business types. For example, if you are a sole proprietor, it must be noted that your name is legally the same as your business name. Therefore, it may be useful to do a DBA filing if you wish to transact business without having to use your own name. 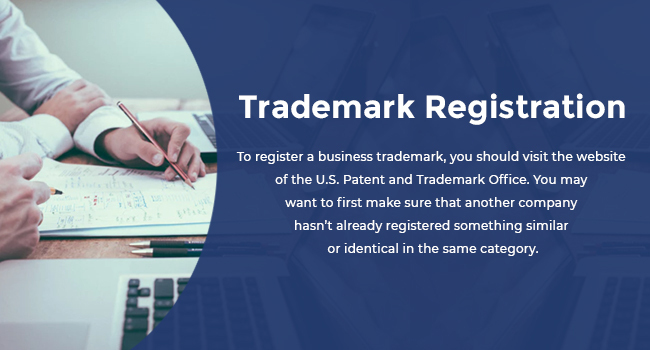 To register a business trademark, you should visit the website of the U.S. Patent and Trademark Office. You may want to first make sure that another company hasn’t already registered something similar or identical in the same category. Be aware of the costs involved: you may spend somewhere between $275 and $325. Registering also needs info like which category of goods and services your mark is to be used for. Another detail would be the mark’s first date of use in commerce, and lastly, whether you seek a design component to your mark. It is typical to wait within six months for a response to the application. 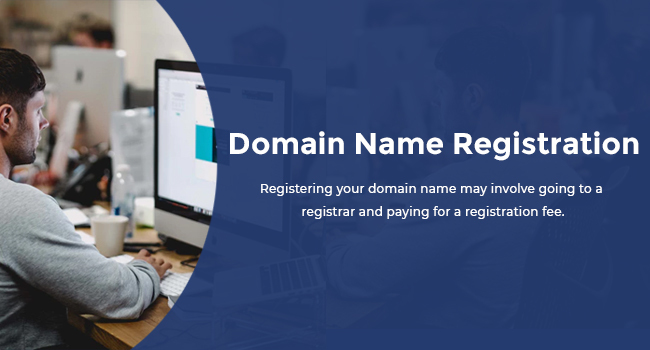 Registering your domain name may involve going to a registrar and paying for a registration fee. Note that there are some web hosts that register domain names and pay for them for free; this normally happens with commercial web hosts. Before you act, you need to come up with a few good names that you can use. You may also want to prepare a PayPal account if you don’t already have one or your credit card for the payment. Should you have a web host already, you can obtain a list of their name servers, both primary and secondary. This information is necessary so you can point the domain name to your business’ website later on. In knowing and understanding your customers, you acquire the means to aptly name your business. Consider this part of your branding strategy; pick a name that will resonate with your customers. If it attracts them and sticks around in their heads, then you’ll know you’ve chosen an effective business name. When it comes to names, complexity is usually not the answer. Think back on famous brand names like Apple, Starbucks, and Marvel. It’s better to make a business name easy to remember and this can mean keeping it short and simple. If you can help them remember your name, you can keep their interest in your brand on a high note. Try to come up with more than just a single name for your business. Doing so will ensure you have backup ideas in the event that your first choice doesn’t work out well. Keep these options up to the same standards and criteria; ensure that your name reflects the business properly and can effectively attract customers. Restaurants like KFC have grown so successful that they’ve branched out to different parts of the world. Originally called Kentucky Fried Chicken, the original name has since been phased out because, let’s face it, such a name wouldn’t make too much sense if a branch opens in China. Geographic names can be nice, but a thought to the growth of your business must be entertained. Do some research regarding URLs when looking for ideas. You may think you have a great concept, but if it is already taken by another business online, then you won’t be able to register it for your website later. There are times when we may be too close to the subject at hand to make good calls. If you think that’s the case with your naming ideas, write down your chosen names and see how they look on paper. This may provide you with a clue on how well the name will go over with your customers. Part of what makes a name successful is if it has some underlying message or meaning. It could be a personal significance to you, similar to Wendy’s, which was named after the owner’s eight year old daughter. Alternatively, you may want to get a name that conveys the benefit that customers reap from your business. This usually makes for more effective branding. You may want to run your ideas by your friends, family members, and business partners. The name you think is good may not be an opinion that others share, so this can help you determine how successful your choices can be. There is such a thing as oversimplification. Choosing a business name that’s too literal may not attract or endear you to too many customers. It can even be seen as a lack of creativity on your part. 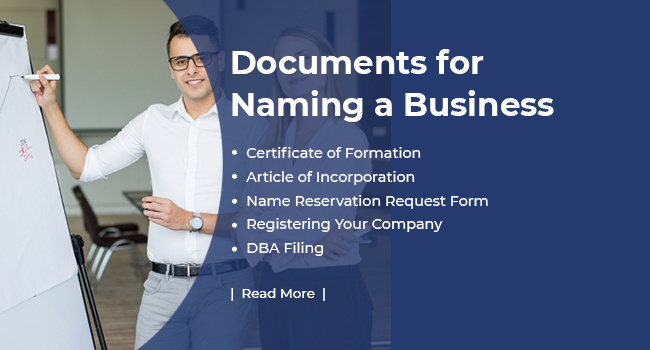 Taking note of these documents and taking the tips to heart can help ease the challenge of naming your business. 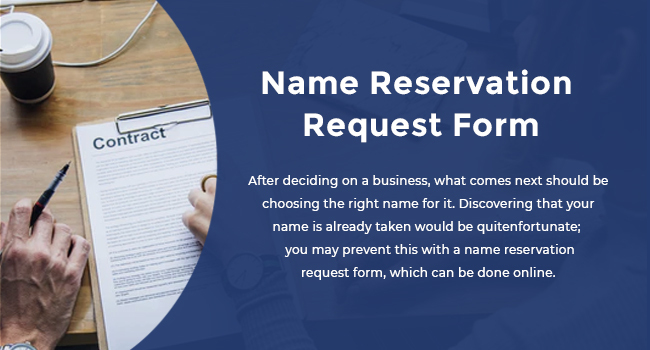 Now that you’ve taken care of the name, you may shift your focus towards the subsequent steps that you’ll need to take to further develop your business. There will be more documents and templates required of you down the road, so remember to keep yourself informed and prepared.